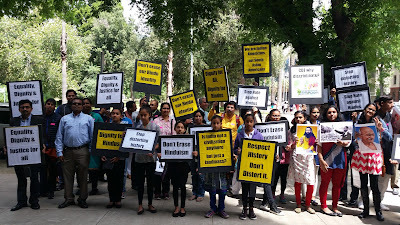 Taking strong exception to the activists’ and academics’ campaign in California, US, which led the local education officials to agree to include caste system as part of ancient Indian, especially Hindu , civilization in the sixth and seventh grade textbooks (click HERE), a senior official of the Hindu American Hindu (HAF) has claimed that “hierarchical” caste system was never part of ancient Hindu scriptures. 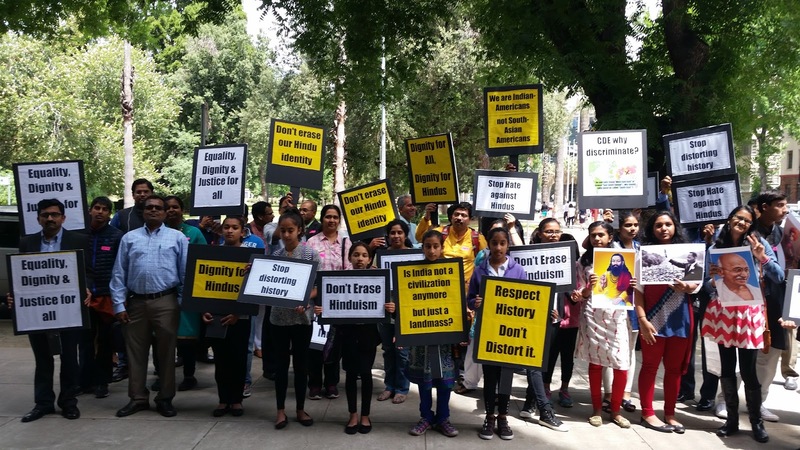 HAF has for long been one of the strongest organizations supporting Modi in the US ever since he was denied a visa in 2005, and has praised Modi’s understanding of “Hindu teachings” about human dignity, mutual respect, selfless service, and pluralism. Venkataraman particularly takes strong exception to the US-based academics’ group South Asia Faculty Group (SAFG) and a US-based Dalit activists’ group, South Asian Histories for All (SAHFA), which, according to him, contended that “Hinduism is inseparable from caste-based discrimination, which has been a feature of the religion right from the beginning”, and that “HAF is looking to erase the experience of Dalits and other low castes”.